2018 was an incredible year for real estate in the Hollywood Riviera. Home prices continued to rise rapidly as demand for homes in this coastal community showed no signs of easing. For those just starting to explore the neighborhood, the Hollywood Riviera lies at the base of the Palos Verdes Peninsula. With a Redondo Beach zip and mailing address, the Hollywood Riviera is actually part of Torrance with Torrance schools and services. The combination of strict building restrictions protecting views and the location on the side of a hillside, makes for often spectacular ocean and coastline views. View the current homes for sale in the Hollywood Riviera. As of 12/21 there were 91 closed home sales with an average list price of $1,783,944 and an average sales price of $1,751,000. The average price per foot was $744. The median list price was $1,399,000 with a median sales price of $1,415,000 meaning the median sales prices were over list price!! The median price per foot for 2018 was at $699. 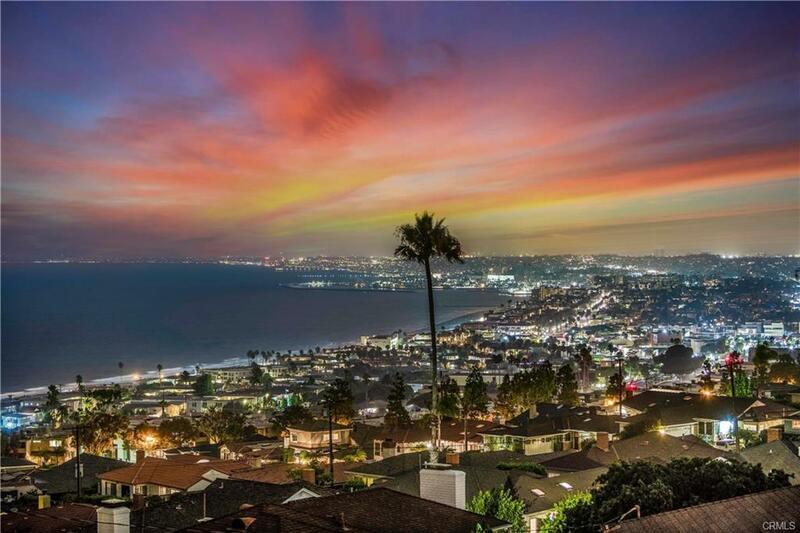 The higest sale of the year $22,650,000 for a spectacular oceanfront estate at 417 Paseo De La Playa. 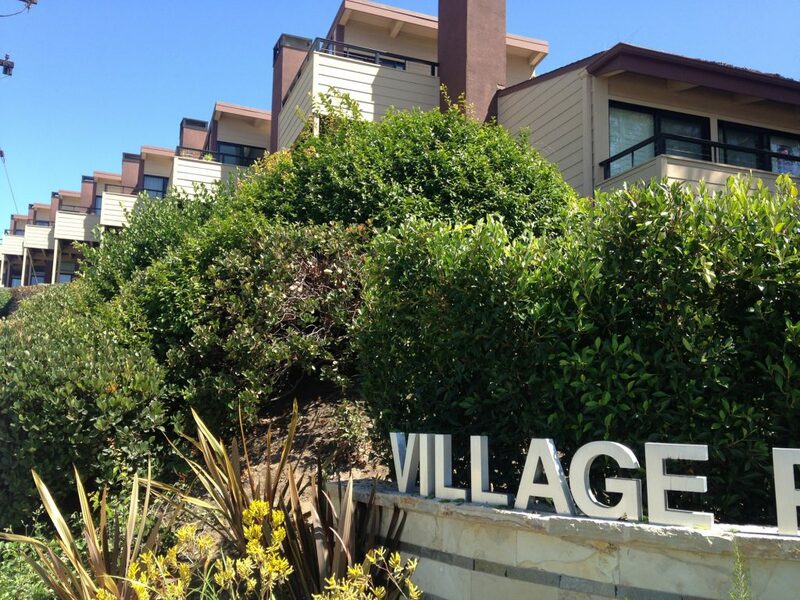 The lowest priced sale of the year $607,500 for a 2 bedroom condo on Pacific Coast Highway. Bought a Condo home in 2018 in Hawthorne, CA. We recently worked with Keith to purchase a home in the South Bay. He has an excellent understanding of the market and market conditions. Keith was able to see around corners and anticipate potential bumps in the road. He was very responsive to our questions and guided us through each step of the way. We’re happy with how he represented us as our agent. He’s very easy to talk to, and makes the complexities of the home buying process more palatable. We would definitely love to work with Keith again. Bought and sold a Single Family home in 2018 in Redondo Beach, CA. We recently used Keith as our realtor to both buy and sell a townhouse in North Redondo Beach. We are really happy we had Keith to guide us during the entire process. In an incredibly competitive seller’s market, it was quite difficult to find a bigger townhouse for our growing family, contingent upon selling our current home. Keith was so patient even though our search lasted many months and we were discouraged after a few lost offers. 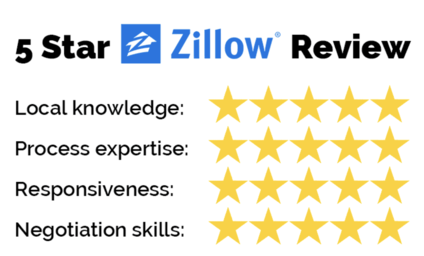 He was honest and helpful when looking at properties, never seemed to grow tired of our many requests for showings, and made sure we found a home that met all our requirements. For each offer, he was very quick to act, explain our situation to the seller, and make our offer look as good as possible. When we finally got an offer accepted, he helped us navigate the market as sellers. His advice to complete a few small renovations were well-reasoned: we ended up getting over a dozen offers and were more than pleased with the end result. Both transactions went very smoothly when we negotiated inspection items and completed all the paperwork to finalize the sales. Keith was a pleasure to work with and we highly recommend him to anyone buying or selling a home in the South Bay! Bought a Condo home in 2018 in Manhattan Beach, CA. Keith Kyle is a top tier realtor in South Bay who we would recommend to anyone looking to buy or sell in the region. We started working with Keith at the end of January 2018. As first-time home buyers, we had a general idea of what we wanted in a home but no idea how to approach the South Bay market. Keith was patient, responsive, knowledgeable and willing to work around our hectic schedules to show properties and answer our questions. Keith is a local who offers unparalleled insight on all of the neighborhoods in the region – from walkability to schools and traffic patterns, to details about recent sales and future residential/commercial development that might impact specific properties. His relationships run deep and provide clients with opportunities to view off-market listings, as well as properties before they hit the MLS. Most importantly, he is always reachable – our calls/texts/emails never went unanswered. We were out-bid on our first two offers in Manhattan Beach and Hermosa Beach. However, everything happens for a reason because we ended up falling in love with a property that had been sitting on the market for quite some time in MB. We worked with Keith to successfully submit an under-ask offer and quickly realized that this was when the REAL work began. Keith was a fierce advocate for our interests throughout the escrow and closing process – from the appraisal to the inspection, to working with the escrow agent, lenders, sellers and everything in between. He also always opened the house for us whenever we needed access to measure rooms, meet with vendors, or just soak in the new view! We closed the deal in April, only a few months after starting the search and couldn’t be happier with the seamless process. Keith continued to check in on us even after we moved in and offered suggestions for electricians, handymen, HVAC vendors etc. We will definitely work with Keith again. Rockstar! Bought a Single Family home in 2017 in Redondo Beach, CA. Keith is a terrific Agent…he is very knowledgeable, has great follow through and helped us every step of the way! We highly recommend him to anyone looking to buy or sell a home. Bought a Single Family home in 2017 in Hermosa Beach, CA. I recently closed on a home purchase In Hermosa Beach. The purchase was off market and Keith was a key player in me getting my offer accepted. We opened escrow immediately and closed quickly without issue. Keith was valuable in making sure all of the different wheels kept on turning and was very hands on and communicative throughout the entire escrow. I would definitely recommend Keith as a buyers or sellers agent. Sold a Townhouse home in 2017 in Hermosa Beach, CA. Keith was awesome! He understood the local market, how to attract the right prospective buyers, and did a great job helping us understand the process and knowing what to expect. He was easy to work with and we really felt like he had our best interests in mind, not his own. We would highly recommend Keith. Bought a Multi Family home in 2017 in Hermosa Beach, CA. Keith went above & beyond to help us find our dream home in the South Bay. We live out of state and Keith was constantly on the lookout for a home that would be the right fit for us. Once we found the home we loved, he worked diligently to secure it for us. Keith never pushed us to do anything outside of our comfort zone and he was our advocate during the negotiation process of buying a home. He responded to our calls, texts & emails promptly and was very accommodating of our tight schedule when we would travel out to the South Bay to look at properties. After closing, he has continued to help us by checking on the house and work being done there daily. Bought a Townhouse home in 2017 in Hermosa Beach, CA. Keith exceeded my expectations and was extremely helpful and supportive in a several month process to find my perfect beach house. Since I was in Texas I really relied on him to preview houses to save me the time and expense of traveling unnecessarily. I would absolutely recommend Keith to anyone looking for a partner in their home search. I’m so excited about the property he found for me and looking forward to the great California weather! Sold a Townhouse home in 2016 in Redondo Beach, CA. Keith went above and beyond in his marketing of our home. His representation of our best interests, patience, and trustworthy advice put him in a class of his own. If you want to receive best in class service and honest feedback…hire Keith! Bought a Single Family home in 2017 in Rancho Palos Verdes, CA. This is our second time working with Keith. He was excellent during the sale of our residence but equally impressive and professional when purchasing one too. What makes Keith special is that he has always put this self reward on the side for the benefit of his client. He is very honest, straight-forward with both positive and negative news and his post-support service after the sale/buy is hands down WORLD CLASS. Keith has continued to assist us with the purchased residence even though it has been more than a month since our escrow closed. Amazing. One additional note: He is very flexible and thinks outside the box to make things work as this was clearly displayed with our latest transaction. Given that we were living abroad, a lot of the hand holding was done by Keith and he was open minded to tackle each issue that came up on a professional basis. Thank you Keith and hopefully we can rope you in another deal (positive one) in the coming years. Bought a Townhouse home in 2016 in Hollyglen, Hawthorne, CA. Keith is a best realtor! I met him only once to take look at houses at Three Sixty. He gave us pro and con about the houses honestly. I live in Colorado, so Keith and I contacted by e-mail until finish closing. I was a lucky person to meet a great realtor! Bought a Condo home in 2016 in Hollyglen, Hawthorne, CA. We purchased a town home from Keith recently. While the transaction was not very complicated, we had complete the process from our out-of-state residence. It did require a high level of trust for us to be able to go through. Keith was very dependable and provided numerous timely advice for us that made the process a delight. Sold a Townhouse home in 2010 in Manhattan Beach, CA. I was extremely impressed with Keith when he helped me sell my property. Keith’s responsiveness and comprehensive knowledge of the real estate industry made me feel like I was always in good hands. What I was most impressed about with Keith was his willingness to provide feedback and knowledge even after the sale was complete. Keith’s willingness to go above and beyond in the process was so impressive that I would certainly use him in the future. Bought a Single Family home in 2016 in Redondo Beach, CA. Bought and sold a Single Family home in 2015 in Hollyglen, Hawthorne, CA. Thanks Keith for helping us find our Hollyglen home! We’ve been in our home for 6 months now and couldn’t be happier with our home and the neighborhood. We searched with Keith for over a year and he was always available for showings and was timely in contacting sellers and submitting offers. When we finally found our home, Keith was quick, very honest and extremely timely in getting us through the process. He was always available to answer any questions or address concerns, no matter what time! He had great contacts which helped us get through the process smoothly especially with the 30 day escrow! We even experienced some plumbing issues immediately after escrow closed and Keith helped negotiate with the seller to resolve the issue at no cost to us. We were very thankful for this! Bought a Condo home in 2016 in Hawthorne, CA. Keith was a pleasure to work with. My husband and I are extremely busy professionals and Keith made the purchasing of our condo easy and painless. He went above and beyond what you would expect from a broker. Keith is easy going, calm and yet on the ball and returns calls, texts and emails quickly. He is sharp, professional and has your best interest in mind. I would not hesitate referring him to any one. Keith Kyle was our realtor. We were first time home buyers and naturally very nervous about the process. We came across Keith online and reached out to him. From the first time speaking with him through getting keys to our new home, Keith was professional, courteous and sincere. He guided us through the entire process and made us feel comfortable and confident through our decisions. In an extremely competitive market he came up with a solution that worked for us and we eventually bought the home of our dreams! Sold a home in 2016 in Harbor Gateway, Torrance, CA 90501. Keith went above and beyond my expectations selling my duplex rental house in Torrance, CA. A professional realtor who understands the proper balance and nuances of selling a house. Starting from his initial evaluation of my property, through painting/prep, inspections, open house, and closing. Even more impressive I never even stepped foot back in the state of California. All paperwork was handled through DocuSign, he was always available via text, email, or phone. He handled everything, including dealing with my tenants on what seemed like a daily basis . He never overloaded me tasks, always presenting me with a series of small hurdles that I could handle, each one at a time. Selling a house is normally like climbing a mountain, Keith made the process more like a jog through the park. Highly Recommended! Sold a Single Family home in 2015 in Riviera, Redondo Beach, CA. In our opinion, Keith is “one of a kind” when it comes to a service provider/broker. This was our first experience selling a single-family resident and we could not have done it without Keith’s involvement. The overall process was like a roller coaster ride and very emotional at times but Keith was able to pull it through at the end. What impressed me most about Keith was that he consistently placed our priority over his and thus did not take any rash or selfish action when few opportunities did exist. As a fellow professional in a similar field, I would define Keith as a “TRUE PROFESSIONAL”. In short, some of Keith’s strongest attributes are: a) Very honest in terms of responding to your questions (i.e. price and demand expectations, input on the potential buyer, etc. ); b) Tactful in dealing with issues with other brokers and vendors; c) Responds to questions/issues raised by the client on a timely basis; d) Very strong understanding about the market; e) Technically strong and thus able to answer questions raised by the client and others; f) Patient and maintains his composure at all times; g) Timely update on the sales and closing process and thus managed our expectation; h) Always available, 24-7, to respond to issues and questions; i) Unselfish and fully committed to his client EVEN IF the sale appeared to be unlikely at times; j) Continue to be proactively involved even after the sale. Without any hesitation, I would recommend anyone attempting to buy or sell or even seeking advice on a real estate investment to seek Mr. Keith Kyle’s assistance at Vista Sotheby’s International Realty. He is a true professional real estate broker, friendly and honest and most important of all very easy to work with. Bought a Townhouse home in 2015 in Hawthorne, CA. Keith handled my purchase/transaction from beginning to end. 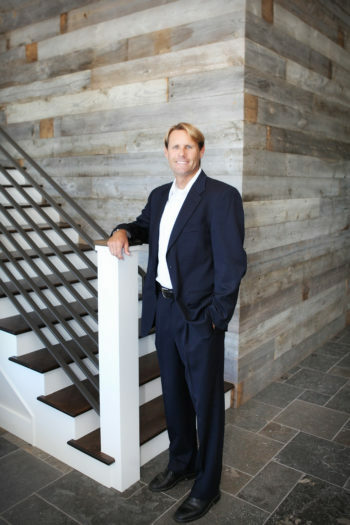 He is very familiar with the South Bay area real estate and a true professional. Integrity, responsiveness, attention to detail and great communication are just a few areas that made him one of the best Real Estate representatives I have had the pleasure of working with and representing my family. He worked diligently with me over a lengthy period of time to find us the right property that totally fit our needs. Keith was not only great in all these areas but also very attentive after the closing to make sure that everything was as we expected. Tremendous work ethic and attentive so there were no surprises and we were always in the “know” all the way. 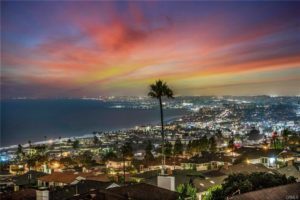 Hollywood Riviera Real Estate Bucks the Trend….. While most other areas and neighborhoods are seeing inventory of unsold homes rise as the market cools, the Hollywood Riviera has bucked that trend. This fantastic coastal community has now seen three straight months with the number of active homes for sale decreasing. September 2018 was the recent high water mark with 25 active listings. Whether it’s just a slowdown due to the holiday season or a larger trend with tightening inventory remains to be seen. As of this post (12/21) there are only 10 homes currently for sale in the community. See the current homes for sale in the Hollywood Riviera. Close your eyes while reclining on the lushly landscaped tropical deck, and the gentle sounds of the waterfall intermingled with ocean breezes will transport you to one of the finest resorts in the Caribbean. Take in the sweeping view of the Redondo Beach, and the glittering Queen’s necklace beyond and you’ll be reminded, happily, that you’re home. Completely rebuilt in 2009, this 3,296 square foot dream house exudes a refined elegance and casual style that will leave you feeling throughly spoiled. Balinese style ceiling fans spin lazily from high ceilings. The kitchen is lined with solid cherry cabinets and outfitted with top of the line appliances. Authentic touches reinforce the island feel everywhere you turn. Unobstructed Ocean views delight you from most rooms. Currently configured with 3 bedrooms, the Office, Gym, and Game room can each be converted to a bedroom. The master is breathtaking with a big ocean view balcony, and the bath is pure decadence with heated floors, an over sized shower, and a built-in Jacuzzi. Listing all the features of this home would be impossible. But there’s really only one you need to know: love. Lots of love went into this home, and no expense was spared to bring the islands to you. Contact us for more information or to see full listing details and photos. 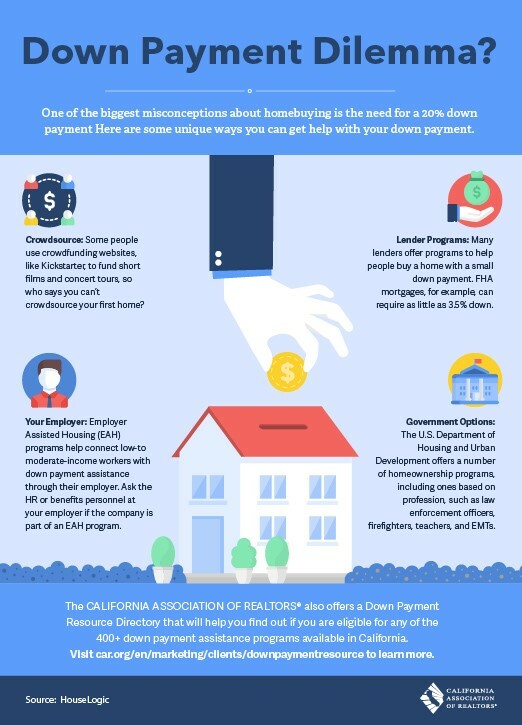 One of the more common misconceptions is that you need a 20% down payment to purchase a home in the Hollywood Riviera That’s not necessarily the case as many lenders can provide loans with less than 20% down, especially on a single family home. Options can range from VA and FHA loas to a number of other creative ways of financing a home. Lender programs: Many lenders offer smaller down payments with first and second mortagages, smaller down payments or government backed programs such as VA loans and FHA loans. 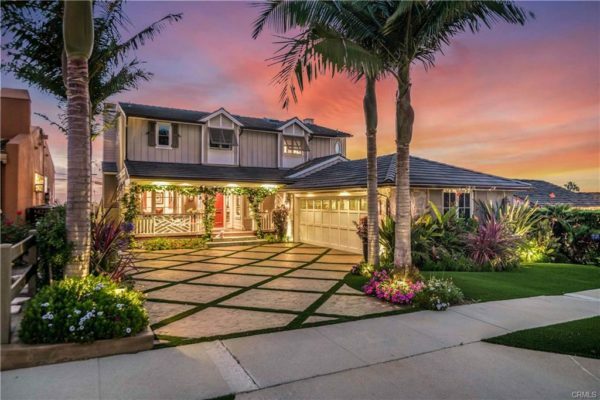 There were 9 home sales in the Hollywood Riviera in July 2018. The median list price of the homes was $1,179,000 with a median price sales price of $1,200,000. With the median price of sold homes higher than the median list price this indicates a very strong and continuing “sellers” market. Click here to see the current homes for sale in the Hollywood Riviera.